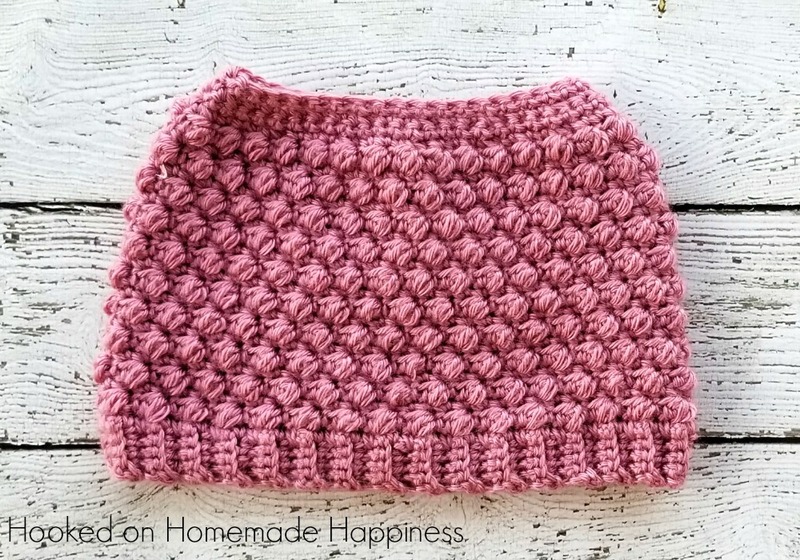 The Pebble Beanie is one of my most popular patterns! 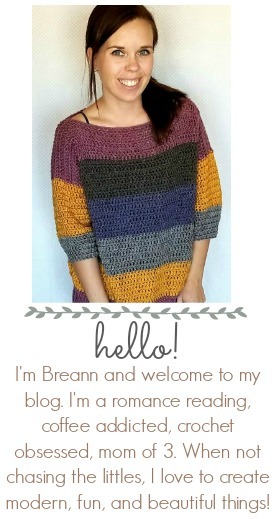 Because of this I wanted to make Pebble Messy Bun Beanie Crochet Pattern. 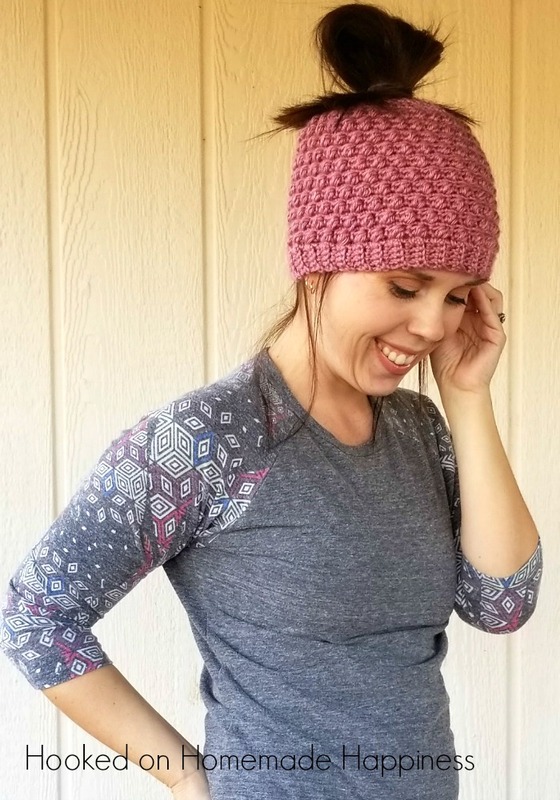 The Pebble Messy Bun Beanie! 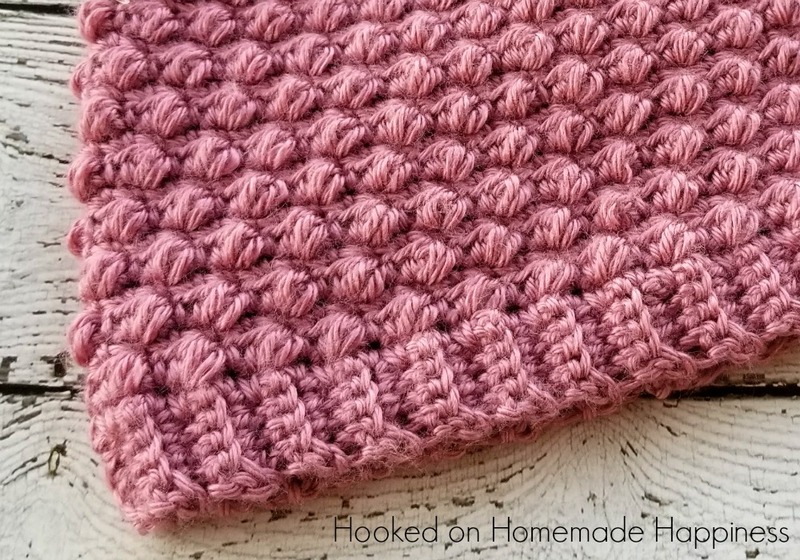 The texture of this stitch is so gorgeous. 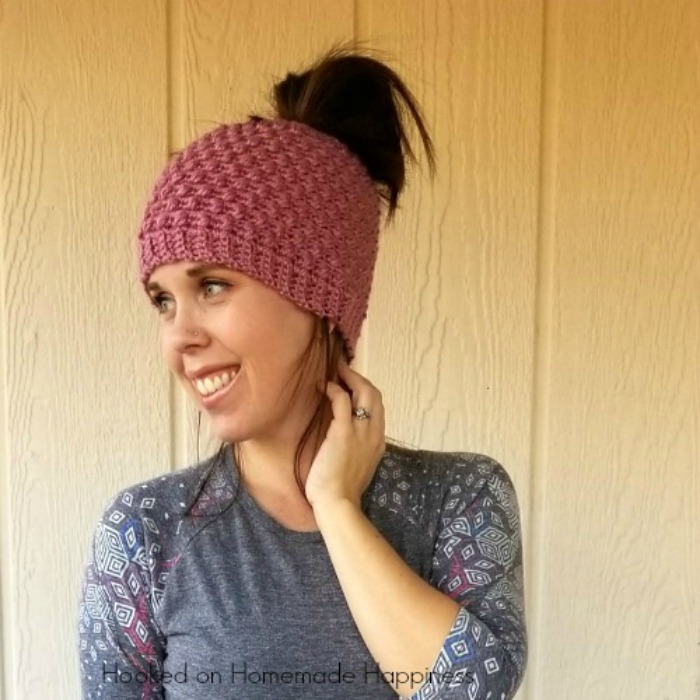 Paired with the soft pink yarn this beanie is very pretty and feminine. This hat follows the same pattern as my original Pebble Beanie pattern, but stops a few rows early and then has a few decreasing rows. Bring both ends together. Use the long end and yarn needle to whip stitch both sides together.